The moon is a wondrous site to behold, isn’t it? It doesn’t matter what phase it’s in, it always brightens my day (see what I did there?) to catch a glimpse of it up in the sky. I don’t care if it’s full or a crescent or only the Chesire Cat’s smile (as my daughter refers to it), it’s always a gentle reminder that we’re kind of small, and the universe is rather big. Even better than the regular old moon: the lunar eclipse that’s coming later this month. 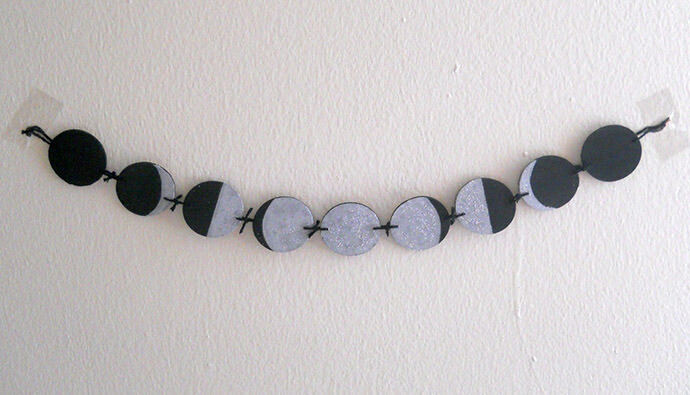 Let’s celebrate all things lunar for craft time this week. 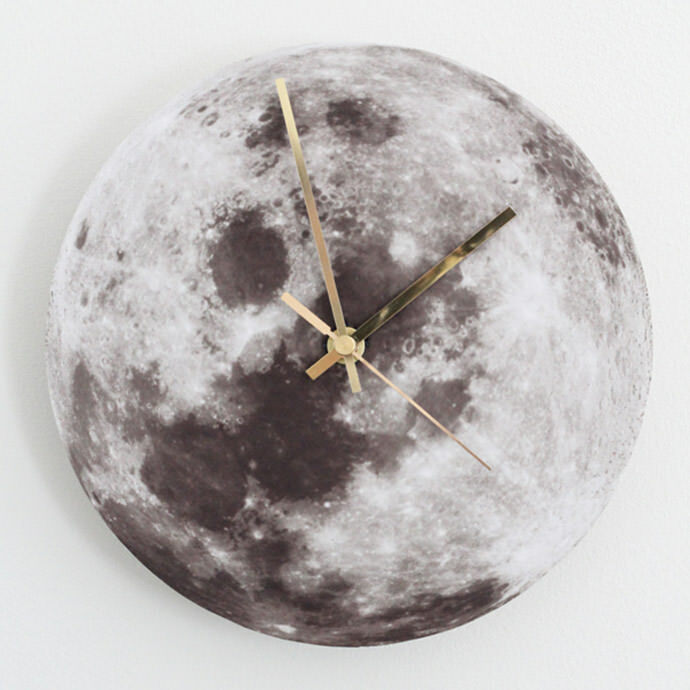 Whether you focus on the phases of the moon or its full-on glory, I bet one of these crafts will catch your eye. It may not glow like the real thing, but its simple beauty will add some gravitas to your time of day. Some wood discs, a little paint, and voila – you and your little ones can keep track of how the moon changes every single month. What better thing to add to the moon than dreams? 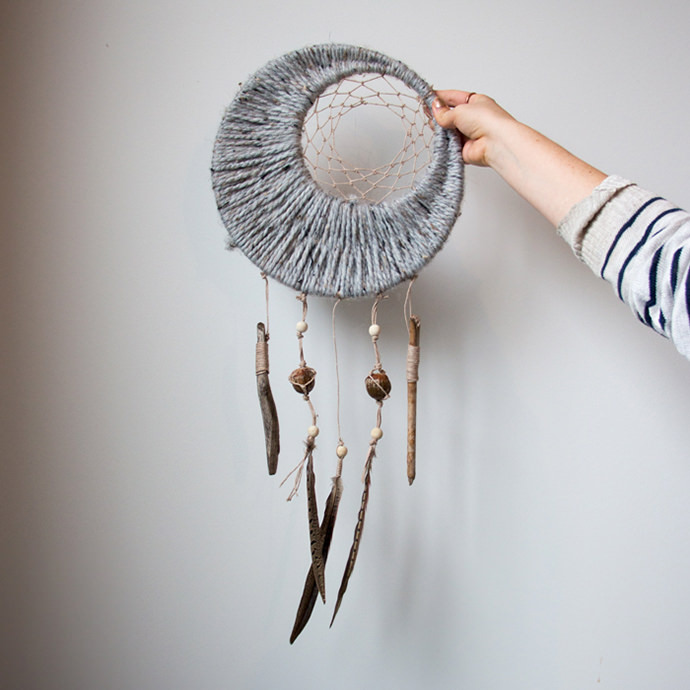 The double circles in the center of this dream catcher are, well, dreamy! 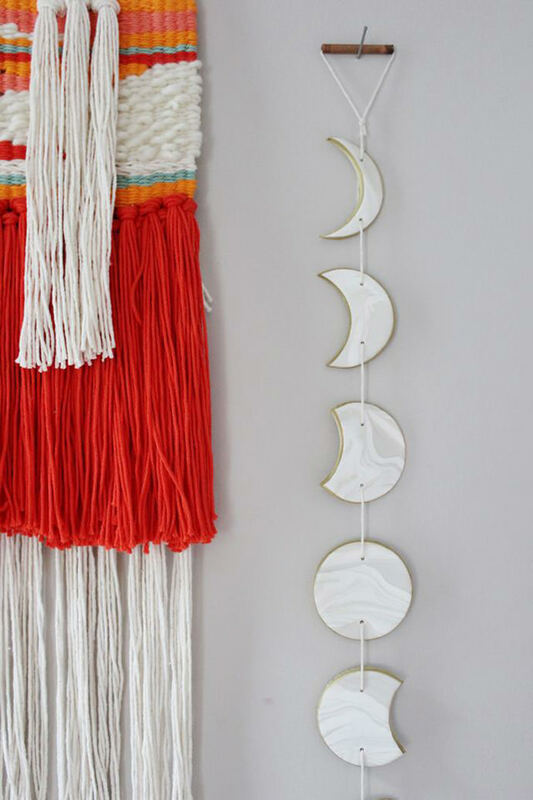 Channel your inner boho goddess with this quick mobile – it’s so much more interesting than another boring old picture frame for your wall. Never fear, you can even learn to draw your very own moon with this quick tutorial. 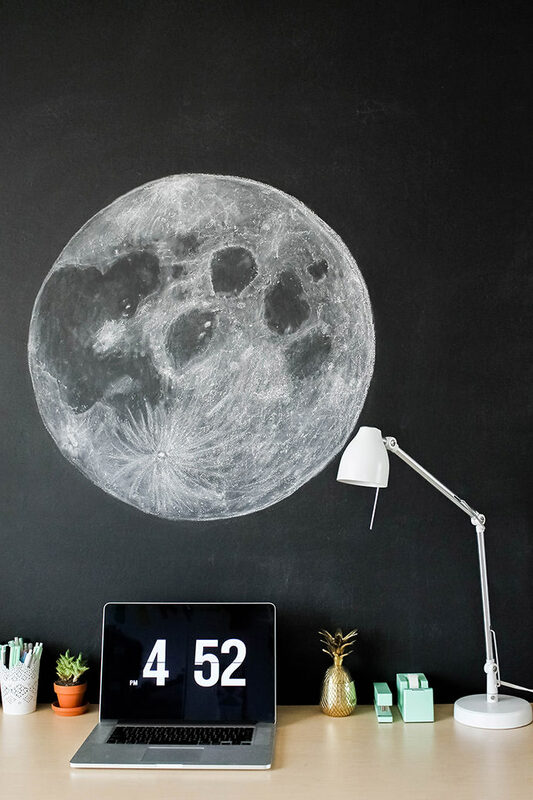 You could even do it on black paper and frame it if you don’t have a chalkboard wall! 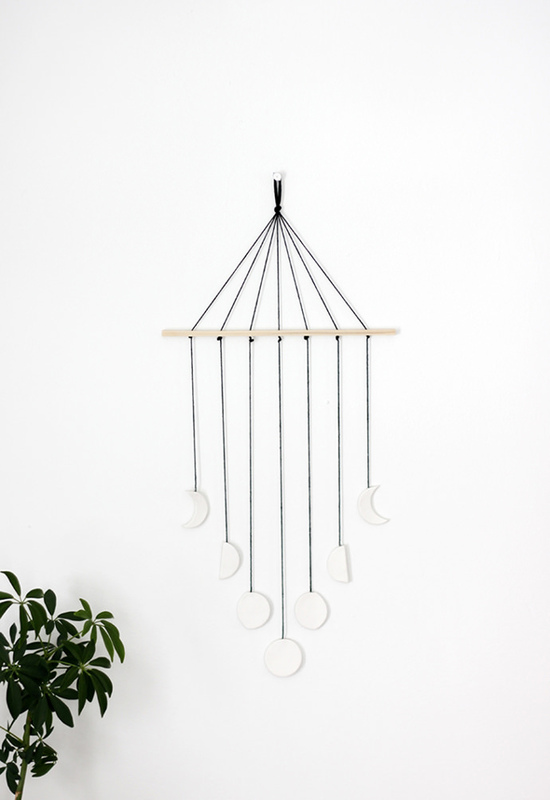 Pictured at the top of this post: Phase of the Moon Mobile via A Beautiful Mess. So darling. Love the mobile and dream catcher.